The man leading the world's largest asset manager is also betting on a healthcare startup. 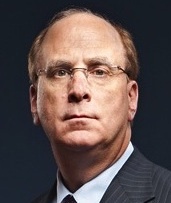 Larry Fink, CEO of BlackRock [profile], is one of the individual investors backing Seattle-based 98point6, CNBC reports. 98point6 has raised $86.3 million in funding so far, according to Crunchbase, and that includes a $50-million series C last October led by Goldman Sachs' merchant banking division. Other individual 98point6 investors include: Nadeer Naini (managing partner of Frazier Healthcare Partners); Jim Sinegal (founder and ex-CEO of Costco); and David Viniar (former chief financial officer of Goldman). 98point6's leadership includes CEO Robbie Cape (a Microsoft alumnus) and product chief Rob Schwietzer (ex-chief of Amazon Prime). The startup offers a subscription messaging service for doctors and patients. The article does not hint at how much money Fink put into 98point6. Last April Fink's net worth famously crossed the $1 billion mark, though it may have slipped since then given that BlackRock's stock price is down about 23 percent since then.